Clogged drains preventiion and treating in Alpharetta. Clogged drains are an unavoidable part of using your home’s plumbing. Just because it’s bound to happen eventually, however, doesn’t mean you can’t do your part to prevent the worst clogs. 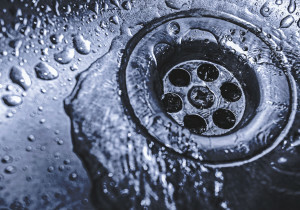 Read on to learn about the dos and don’ts of preventing and treating clogged drains in Alpharetta. If you notice that your water isn’t draining as well as usual, a great first step is to check or clean out the sink traps. Clean out grease or oils, hair, objects that may be caught, or any other clogs. A drain stick can be a good tool for cleaning out P-traps and S-traps. The immediate reaction to a clogged drain may be to dump every kind of pipe-cleaning chemical down there, but you should always use caution. Never mix chemicals, and if the first try is unsuccessful, you may be better off trying another method. Chemicals can be corrosive and often ineffective, depending on the situation. With sinks or toilets, a quick flush of hot water can soften or loosen a minor clog. Avoid water that’s too hot in a cold sink or toilet, however. Bath oils, cooking oils, and other oils of all kinds can harden and clog up your drains. Seal up grease and oil and throw them away rather than rinsing them down the sink. Watch the ingredients on the bath products you buy in order to minimize the oil that goes down your drain. Watch what you put in your sinks and disposals. Hair, garbage, feminine products, baby wipes, and other items can wreak havoc on your drains. Keep things clean, making sure to run your disposal after doing dishes to avoid buildup. When the clog is serious, don’t leave it to its own devices. If your attempts to clear it out don’t work, be sure to call in a professional so the problem can be quickly resolved.